Sony's critically acclaimed MLB The Show series is making its way to the company's shiny new handheld, the PlayStation Vita, this year. 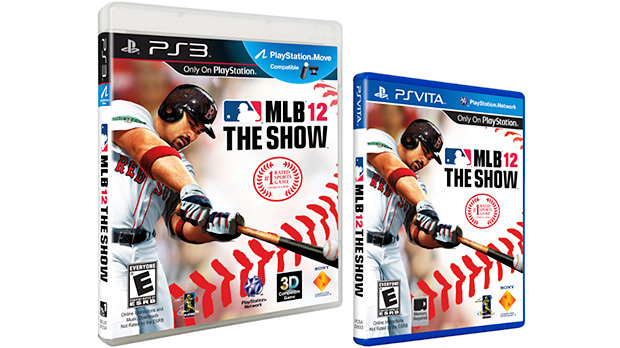 The PS3 version of MLB 12 The Show costs $60, as usual, and Sony is charging $40 for the retail game on Vita. But if you're looking to pick up both versions, you can save $20 at the retailer of your choice and get them together for $80. I've played MLB 12 on both PS3 and Vita, and the handheld version is impressive in its faithfulness to the console experience. Plus, there's an incentive to buy it on both platforms: cross-platform cloud-saving functionality. MLB 12 lets you save your Franchise, Season, or Road to the Show play-through to the cloud on the PS3, and then load that save game on your Vita (or vice versa). The catch is that your Vita must be on Wi-Fi; the feature won't work over a 3G connection. Amazon, Best Buy, and GameStop, among other retailers, have already made the offer available online for pre-order. Note that the deal is only available for boxed copies of both games -- you won't get the same discount if you buy the Vita version of MLB 12 from the PlayStation Store. Let's hope that we see similar deals for future games that launch on both PS3 and Vita, such as Warrior's Lair (née Ruin). MLB 12 The Show is out tomorrow, March 6.